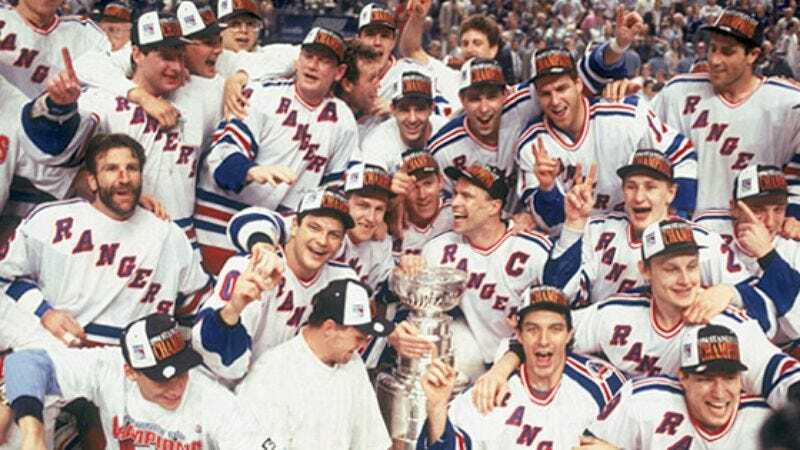 NEW YORK—After 54 years of waiting, the New York Rangers finally won the Stanley Cup 15 years ago, defeating the Vancouver Canucks four games to three in 1994. "As long as I live I will never forget this moment," Rangers' captain Mark Messier, who recently confirmed he had not forgotten the moment in the intervening decade and a half, said at the time. Coach Mike Keenan is remembered to have added that the victory "[was] for the greatest fans in the world. This definitely[might have been] the start of a new Rangers dynasty! I can't wait to meet President Clinton. Let's go Rangers!" The 2009 Pittsburgh Penguins had no comment about the year 2024.